Some readers may know I volunteer as a Critical Care EMT with my local fire department and local first aid squad. In my legal practice I deal with Elders and their families and provide legal help for “The Third Age” (the age after middle age!) and come in contact with clients and families dealing with the medical and legal issues of later life. A recent ambulance call brought to mind the urgency and importance of recognizing signs of stroke and getting immediate medical care. At about 4 p.m. my ambulance crew and I were called to the home of an 88 year old man whose son reported his father was unable to speak clearly and remember words (“aphasia”). The son reported the speech problems began after breakfast, at about 9 a.m. The problem seemed to resolve itself only to return at about 3:30 p.m., thus the 911 call and our response. This gentleman was conscious, alert, dressed and sitting at his kitchen table. Based on the son’s description of symptoms, we did a quick stroke assessment: grip, smile, tongue control, facial droop, muscle control. All were normal but he could not retrieve words. It was apparent that he knew what he wanted to say but he did not have the words to do so. Slurred or inappropriate speech can be a sign of stroke so we immediately transported this patient to the local hospital ER for treatment. As usual, we gave the ER a “heads-up” that we were transporting a potential stroke victim. On arrival the ER staff was prepared to do an immediate CT scan to diagnose the problem. However, given the time elapsed from first symptoms (9 a.m.) to ER arrival (4 p.m.), neither the CT scan nor the use of the “clot buster” drug TPA was indicated. The key is time. Had this patient been transported at 9 a.m., a CT scan may have indicated that TPA would be appropriate and possibly helpful. Please, if you have a parent, child, friend or co-worker who exhibits signs of stroke, do not delay, call 911 immediately. Ignore Mom’s suggestion that she just needs a rest or Uncle Harry’s attribution of his symptoms to “something he ate”. A stroke does not “get better” with the passage of time; rest, a cold compress or chicken soup will not help a stroke. Brain cells damaged by the deprivation of oxygen cannot regenerate. A stroke victim needs immediate medical treatment, usually at the nearest ER. 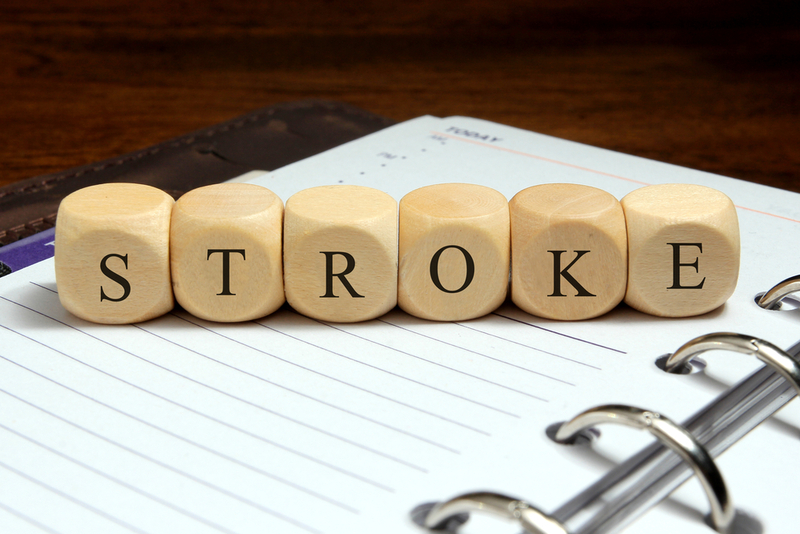 For help in recognizing stroke please go to: Signs and symptoms of stroke.